Before looking at the nitty-gritty of how an author collective works, we should firstly ask why this current rise of the author collective is happening. It seems obvious the main reason is a reaction to today’s depressed traditional publishing industry, with many authors turning to self-publishing as an alternative means of publication. As self-publishing blossoms into an economic force, the number of organisations offering writers’ services––both good and bad––is growing at an alarming rate. An author collective can look at what is best for a group, more effectively than an individual; it provides a wall of defence, thus making the group less vulnerable to all those circling sharks. In December 2011, three writing colleagues found themselves in similar situations: literary agents unable to sell their work to traditional publishing houses. They’d met via an online writing group, and gravitated towards one another on the strength of impressive writing and valuable critiques. Here were opinions they could trust. So they got together and discussed their options: they wanted to have their cake and eat it––to produce well-written, professionally-presented books while maintaining their independence and retaining full creative control. They thus decided to form the Triskele Books author collective––not a small publisher (each author retains her own rights), not a business (each keeps her own profits) but a collaborative platform for a mutually supportive team of writers. A traditional publication deal brings an editor who casts a critical eye over your work with the aim of improving it. Triskele Books consists of five core members (and now several associates), all talented writers and all determined to raise one another’s game. So manuscripts whizz around in cyberspace, edited and critiqued by four pairs of eyes. This could be confusing and counter-productive, but we always keep in mind the writer’s goal and help her/him get there. Five individuals scattered across Europe, who write historical fiction, crime and literary fiction, have a variety of networks. Local media, Facebook friends, writing workshops, Twitter and Google + followers, bookshops, blog tours, reviewers, Pinterest boards, book clubs and Goodreads groups are all useful in marketing our books. We scan the latest developments in publishing, pass on tips and share experiences. We promote each other’s books via our own (each carries ads for the others in the back, our bookmarks illustrate the other covers), we support other writers who aren’t part of the collective and reinforce the message that the indie author community is a friendly, helpful place. We are all members of The Alliance of Independent Authors. This organisation provides indie authors with a unified public presence, a respected voice in the media and myriad benefits to its members. Since we are, geographically, all over the map––The Lake District, London, Zürich, Buckinghamshire, Lyon and Birmingham––this has proved one of the most difficult areas to manage. Daily business is done via our private Facebook page. We also use email and Skype for sharing documents and having more complex discussions. Collective decision-making is slow, but unanimous approval is non-negotiable. Finances are kept relatively simple. We all keep our royalties from sales of our own books. If we market or advertise Triskele collectively, through posters, bookmarks, etc, we all contribute equal shares. 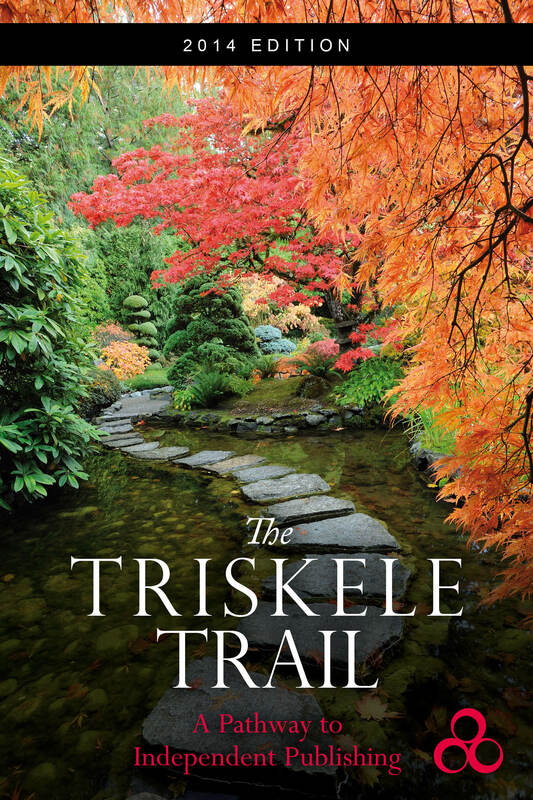 And for joint ventures, like our eBook The Triskele Trail or launch parties, we divide initial outlay and profits go into our Triskele bank account to cover future overheads like webhosting, print materials, advertising etc. Our most financially-savvy member deals with each transaction, keeping us all informed and ensuring we stay liquid. Not all independent publishers feel the same way, but Triskele authors want their books to stand out for all the right reasons: no typo-riddled manuscripts or poorly Photoshopped covers. This means using a professional cover designer, proofreader and typesetter. Only books that meet these professional standards carry the Triskele brand logo. A collective like Triskele Books is a group of personalities, for better or worse, so it’s impossible for us to offer advice to others on how exactly another collective should work. There’s no one way to do this, but we believe one of the most vital things, when forming a collective, is to ask yourself who is reliable and trustworthy. Are these people you’d be happy to go into business with in the real world? Because even though this isn’t a company set-up in the strict sense of the word, the commitment is identical. There’s a lot of hard work and energy involved in self-publishing, and no ship can afford to carry unseaworthy passengers. 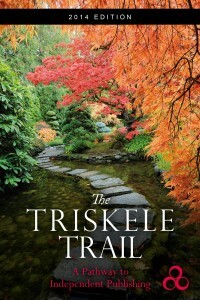 It’s been almost three years now, since the birth of the Triskele Books author collective, and in our updated, new 2014 edition of The Triskele Trail, we have collated what we’ve learned into a road map to self-publishing. 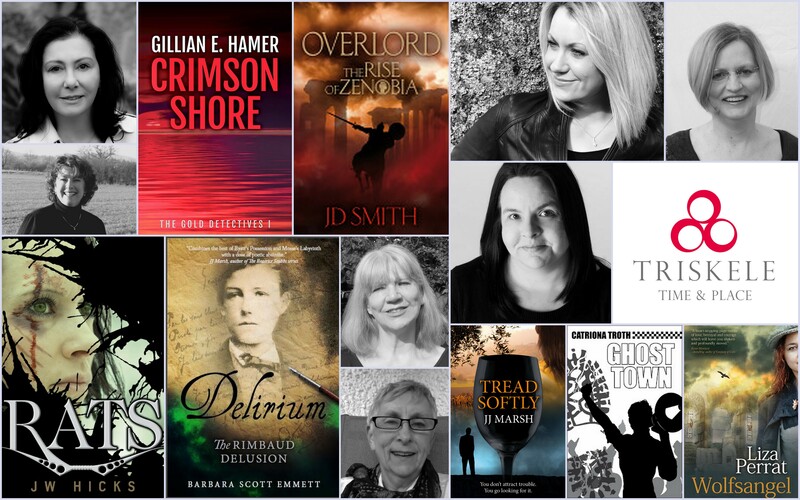 Crime writer and columnist for Words with JAM magazine, Gillian is the author of the crime novels: The Charter, Closure, Complicit and Crimson Shore. Based in Switzerland, Jill is the author of the Beatrice Stubbs international crime series, half of the Nuance Words project and a columnist for Words with JAM and The Woolf magazines. Liza is Australian, but has lived in rural France for twenty years, where she works as a part-time medical translator and a novelist. She is the author of the first two books of the French historical trilogy: Spirit of Lost Angels, Wolfsangel, and the short story collection, Friends, Family and Other Strangers from Downunder. Catriona Troth is the author of the novella, Gift of the Raven, and the novel, Ghost Town. A former researcher turned freelance writer, she is a regular contributor to Words with JAM magazine. JD Smith (Jane) works predominantly on book cover design and typesetting. She is the editor of the writing magazine Words with JAM and Bookmuse, the author of Tristan and Iseult and The Rise of Zenobia, the Overlord series.